TS PECET 2019 Hall Tickets,TS BPEd DPEd Hall tickets 2019 : TS PECET 2019 Hall Tickets Download, TS Physical Education Entrance Test hall tickets, Telangana State PECET 2019 Hall tickets, TS BPEd DPEd Hall tickets, A Common Entrance Test designated as Telangana State Physical Education Common Entrance Test (TSPECET 2019) will be conducted by Osmania University for the academic year 2019-2020 for seeking Admission into B.P.Ed. (2 Years) and U.G.D.P.Ed. (2 Years) Courses. Osmania University issued the Telangana State Physical Education Common Entrance Test /TSPECET 2019 notification on the 17th April 2019 and the Department of Physical Education, OU invited online applications from the eligible candidates for admission into BPEd and UG PED courses offered by the Universities and affiliated colleges in the Telangana state for the academic year 2019-2019 from 17-04-2019 to 15-05-2019 and Online applying process is going on up to 26-05-2019 with late fee of Rs.5000/-. Applied PECET 2019 candidates are waiting for their hall tickets. These hall tickets of PECET will be uploaded on this official web portal by OU officials after completion of receiving of online application process. The Telnagana State Physical Education Common Entrance (TSPECET-2019) Convener Prof. J. Prabhakar Rao has informed that applied candidates could download their hall tickets from May 18th onwards. The TSCHE had entrusted the responsibility of conducting the first TS PECET 2019 to Osmania University. Step 4. 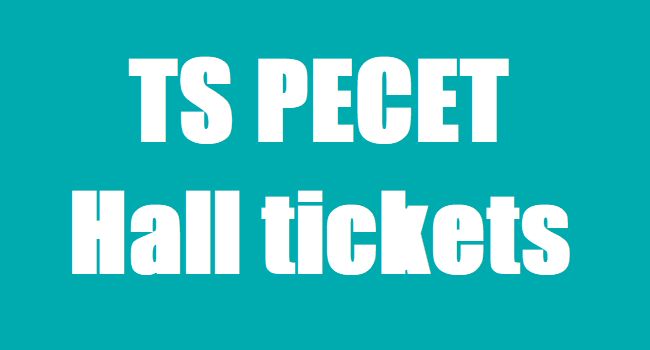 In the TS PECET Hall Tickets Page, Enter your Reg. Number along with your date of birth in the required field.